Spring has officially hit, and temperatures are starting to rise. You might have noticed the temperatures rising in your home as well. 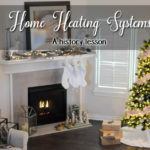 It’s a weird time of the year where it’s not quite hot enough to turn on the air conditioning, but you definitely don’t need the heat on, and you might not be exactly comfortable with the temperature in your home. If your home is already starting to feel a little warm but you aren’t wanting to turn the air conditioning on yet we are going to share some helpful tips with you. 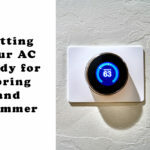 These tips will help keep your home a little cooler, cut the utility bill down, and benefit the environment, and you won’t feel the need to to turn the AC on just yet. 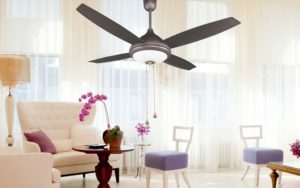 Between Fall and Spring you should be rotating the direction your ceiling fans turn. During the Fall and Winter, your fans should be rotating clockwise in order to pull cool air up. This gentle updraft will push the warm air, which naturally rises to the ceiling, down to help keep your home warmer. During the Spring and Summer, you want your fans to rotate counter clockwise in order to blow air straight down. This allows the cool air to be blown down, and the warmer air to rise. Keep in mind, the warmer it is, the higher the fan speed should be, and in cooler months your fan should run at a low speed in order to be the most effective. The sun can produce almost 30 percent of unwanted heat via your windows. During the day time, make the most of your window treatments. Whether you have blinds, curtains, window shades, or another type of covering, keep them closed the entire time the sun is up for the maximum effect. Keeping your window coverings down/closed during the day can help keep some of that unwanted heat and humidity out. 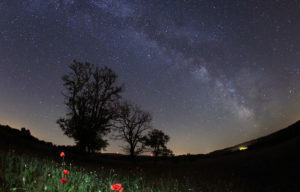 When you aren’t home, turn your lights off. When you are home, turn off lights you aren’t using. Don’t bathe the room in light when you are only needing to use one area, and keep the lights off in other rooms that you aren’t utilizing. 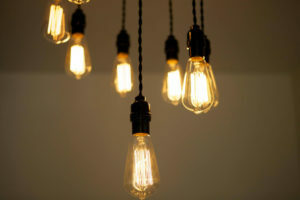 Only having lights on when and where you need them will help keep your home a little cooler, and will help you save on your utility bill at the same time. During the Spring, the night temperatures are still a little bit cool, utilize this. 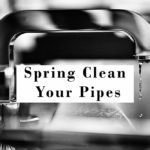 Of course, keep your windows closed during the day in order to keep that unwanted warm air out, but you can open them at night to utilize the cooler night air. You can create cross ventilation by opening windows at either end of the house, allowing the cool air to blow through your whole home. Another option is to put standing fans in the window sill to help push the cool air through the house at a faster pace. This is more of a long-term investment, but can be an effective way of helping cool down your home. 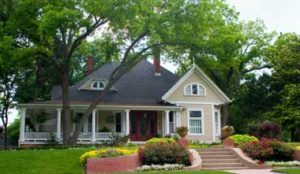 Deciduous trees are great at defending your home from the sun, especially if they’re planted strategically. Plant these trees on the east or west side of your home and partially near a window. You could also plant them near areas that absorb a lot of heat such as air conditioning units and driveways in order to keep them cooler. Once these trees are grown, they will produce a lot of shade and help keep your home cooler. 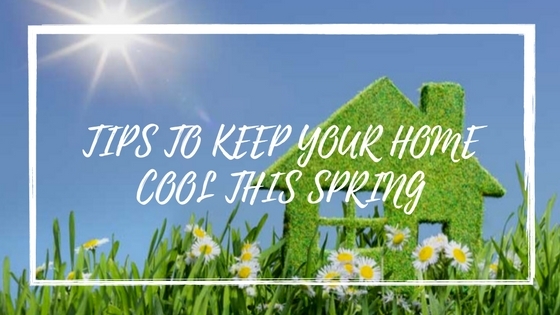 We hope these tips will help keep your home a little bit cooler during the warm Spring months. Soon it will be too warm for these tips alone to keep your home cool, and you will need your air conditioning. 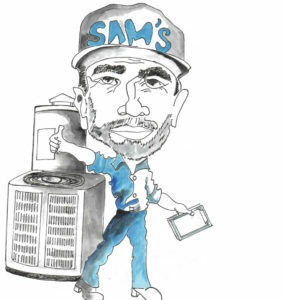 If you need maintenance on your AC unit we recommend getting it done before the even warmer Summer temperatures hit. If you know of any more tips that help keep your home cool without having to turn the AC on, please feel free to comment or send us an email.